If I find myself working on someone else’s PowerPoint deck, it’s not rare for me to remove a lot of the text on the screen. This invariably ends up driving a discussion that I’m prepared for, but is often not fun. Why, the deck author asks, should I remove all that text? They don’t like the idea that I’ve removed all their brilliance. Or maybe it’s because they planned on using the words to remind them of what they were up to. Either way, here are three reasons why you need to move away from lots of text and leverage more images (and if you don’t believe me, check out this video from Guy Kawasaki who highlights the algorithm for the perfect font size). 1. The slide is meant to compliment your presentation, not be the presentation. After all, if people could get all the information from your slides, why invite you to speak? Just send them your deck and you’re done. More importantly, people can read faster than you can speak – so if you’re putting your main points on the slide and then reading it, you’re already behind – making you look pretty silly. So use images to convey the emotion, to illustrate your point, or to create dissonance that you can resolve while speaking. But don’t just put words on the screen. 2. Images create immediate reactions. Words take much longer. The brain is not one single working engine – it’s actually three (see the great work on neuromarketing) – of which only the frontal lobe does the work of decoding words and numbers. It is by far the slowest part of the brain, when it comes to reaction. The brain stem (the lizard brain) reacts and reacts quickly (which is why we jump when we see plastic snakes – because the brain stem doesn’t really distinguish at a level of detail to discern the difference between real and fake). Images move thru a different part of the brain than words, and they cause a faster and stronger reaction than words. So use great images that cause reactions. 3. 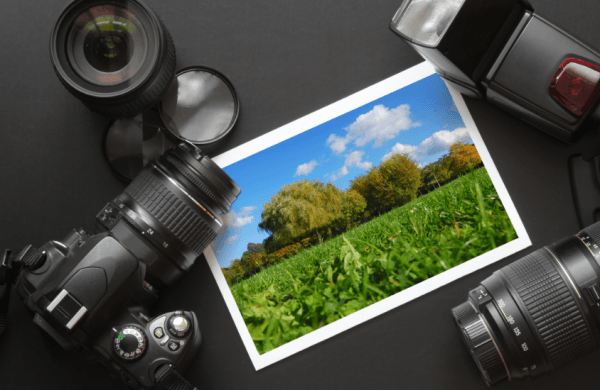 Pictures help you focus, and helps people remember things. Not only do we often put too much content on our slides, but with lots of text, we run the strong risk that no one will remember anything that we presented. But create a compelling graph, a simple image, a strong single message, and people will remember it far after you’ve presented. What’s more powerful, the fact that I show you a table of reading competencies (at 8th grade level) for each state, or a map of the US, with one big number in the middle (24%) which tells you how few kids are reading at grade level in the country when they reach 8th grade? Likely the strong image with a single number (24) will stick far better than a chart of data. So what are you waiting for? Get moving on converting that boring deck into something compelling!